The size of the Nautilus, about 3,500 tons on the surface, and a three-decked hull over 300 ft long, allowed her 100 crew members a standard of accommodation which was better in some ways than surface ships of the same size. And they needed it, for in 1955, when Nautilus was completed, she made a run from New London to Puerto Rico fully submerged. This feat was eclipsed by her submerged crossing of the North Pole on 3 August 1958, when she proved to the world that a new era of submarine warfare had begun. Between 1955 and 1957 she steamed 62,562 miles on the original core of uranium, then logged 91,324 miles on her second core, and about 150,000 miles on the third. 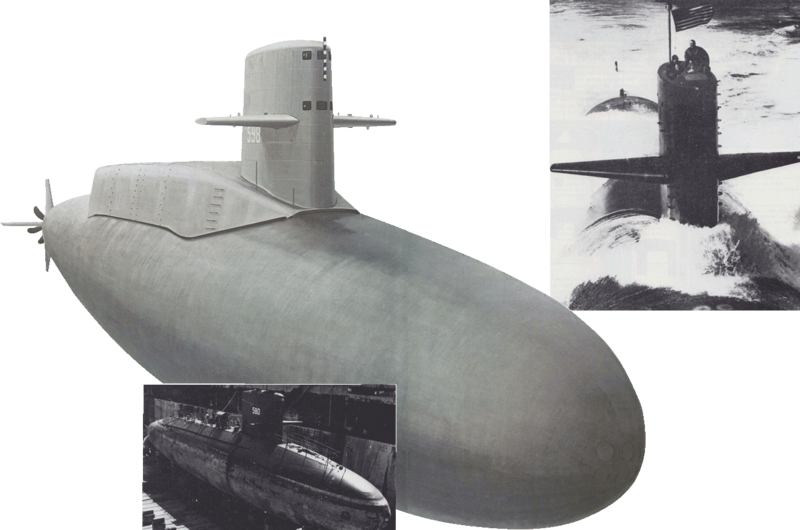 In 1957 a second nuclear submarine was completed, the USS Seawolf. 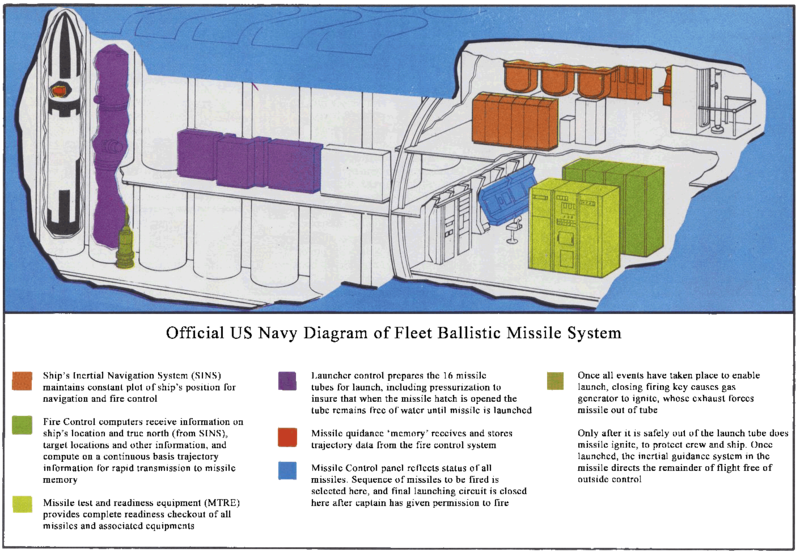 Slightly larger than the Nautilus, she was built to test another type of reactor using liquid sodium as a coolant in place of pressurised water. Although not as successful as the other prototype, she provided valuable experience for the first "production models", the four Skate Class, which were completed in 1957-59. Their success convinced the US Navy that all future submarines should be nuclear-powered, and that decision marked a personal triumph for Admiral Hyman Rickover, who has been aptly named the "Father of the Nuclear Submarine". In 1952 an experimental submarine had been ordered as a "Hydro-dynamic test vehicle". As the USS Albacore she entered service at the end of 1953. She revolutionised submarine design, because her "teardrop" hull form gave more speed and manoeuvrability than any submarine had ever had. Her whale-shaped hull had no deck-casing, and the "sail" was reduced to a thin dorsal fin. Since first commissioning, the Albacore has tested a variety of advanced equipment, but her main features have become the standard for later submarines; in particular the circular hull- sections and the single propeller shaft are a repetition of the British "R" Class of 1918.